When it comes to capturing barcodes in the warehouse and on the manufacturing production line, every second counts – speed and accuracy are directly related to workforce productivity, your throughput and the quality of your products and customer service. 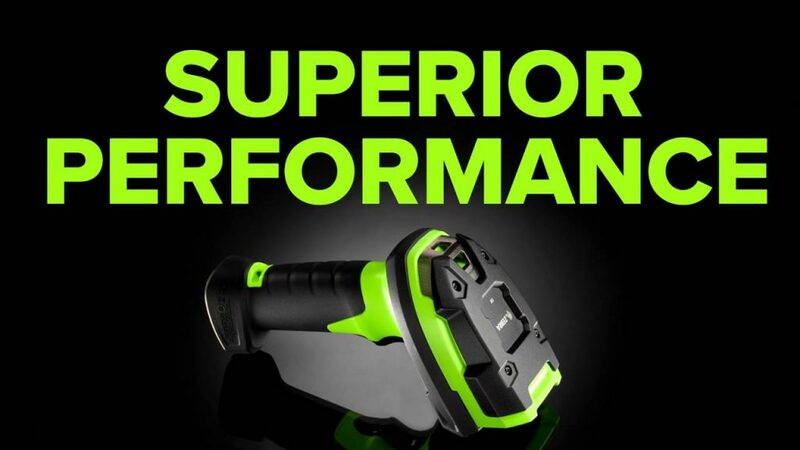 Introducing the industry’s first complete line of corded and cordless ultra-rugged scanners that redefine industrial scanning with new standards for rugged design, scanning performance and manageability. Just how rugged is the 3600 Ultra-Rugged Series? When it comes to industrial strength, nobody does it better. In fact, the 3600 Series offers the most indestructible design available today, with the highest drop, tumble and sealing specifications for comparable devices. All scanners in this family offer an 8 ft. 2.4 m drop specification that is 23 percent more durable than any other scanner in this class. These scanners continue to operate reliably – even after 5,000 tumbles. The corded and cordless models are the only scanners in this class that are dust-tight, sprayproof and waterproofed to IP67. And only the 3600 Series offers an IP65-sealed cradle for a complete rugged cordless solution. When it comes to scanning, the 3600 Series simply shines. Built to out-class its competition in scanning performance, you get advanced scanning technology that enables the first-time every time capture of bar codes faster, farther and in practically any condition – under shrinkwrap or damaged, dirty or poorly printed. And with six models to choose from, there is a 3600 model designed to meet the specific scanning needs in your warehouse or manufacturing plant. Your scanners should be simple to deploy and even easier to manage. That?s why every 3600 series model comes with our industry-best management tools, compliments of Zebra. 123Scan2 and Scanner Management Service (SMS) work hand-in-hand to minimize management time and cost by automating initial configuration, updating and troubleshooting. The 3600 Series redefines the cordless experience with unparalleled technology that delivers an unmatched user experience. Bluetooth 4.0 Low Energy provides lightning fast wireless communications and maximum energy efficiency. With Zebra Wi-Fi Friendly Mode, you can say goodbye to the wireless interference and problems that Bluetooth devices often cause for Wi-Fi networks. The ?go-anywhere? rugged cradle is the only cradle in this class to offer IP65 sealing, with industrial charging contacts that can withstand a quarter of a million insertions. The first-in-its-class battery “charge gauge” provide users with at-a-glance remaining battery power. And the Zebra PowerPrecision+ battery delivers the ultimate in battery power and management with 50 percent more battery capacity than competitors.